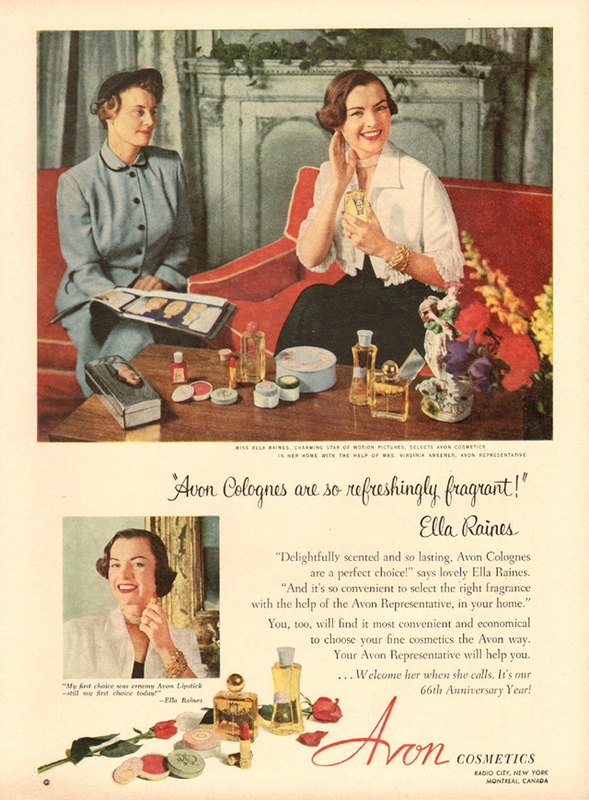 "Avon Colognes are so refreshingly fragrant!" says spokesperson Ella Raines in this circa 1952 advertisement. The smiling face of lovely actress Ella Raines graced many magazines and magazines ads back in the 1940 and 1950s.